Acrylic double wall tumbler for hot or cold drinks. 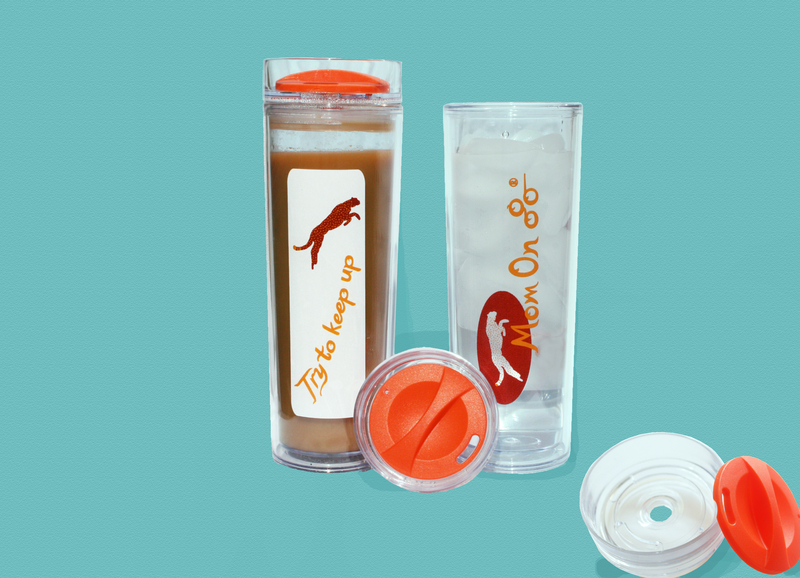 Pop off lid with o-ring seal for a no spill travel cup. The orange inner lid twists to open and close to keep temperature sealed. Tall lean design for easy grip. The acrylic plastic is BPA free. Front and back shown with hot and cold drinks.